A Step-by-step guide for beginners on how to make a website & get it online. Build your own website with your own domain name & web hosting. So you want to make a website and do it all by yourself? Believe it or not, its not that difficult. Whether you want to build a website for your business or just to impress your friends, this step-by-step guide will show you how to do so. It’s really easy! Every website needs a domain name. A domain is like an address to your website and will belong solely to you. Every website also needs web hosting. Web hosting allows your website to be seen on the internet. Unless you want to code your website from scratch, you will need a website builder that can code for you. Domain name, web hosting, & a website builder??? What are those? And how would I get them? Don’t worry about it. Just keep following along and we’ll show you precisely what to do. It’s one of those things that seem difficult until you actually do it. For now, just keep following along! A domain name is unique and will need to be registered so that only you can use it. Domain names can have many different extensions, but .com, .net, or .org, are usually the best. Unfortunately, many domain names are already taken, so you may have to think of a different name that has not been registered yet. 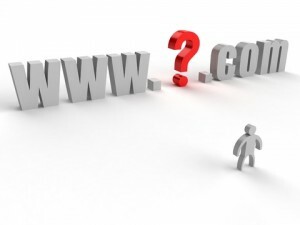 Try to pick a domain name that is simple & easy to remember. Start thinking of ideas for your domain name. Once you have chosen a name, you will need to register it. At long last! We’ve gotten to the final step. This is highlight of our guide where you can now start to make your own website. Unfortunately it is also going to be the most difficult part. But don’t panic. 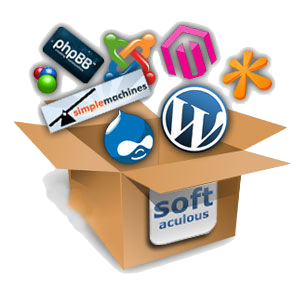 We provide licensed Softaculous script installer with all our linux hosting plans. Softaculous is the leading Auto Installer having 377 great scripts, 1115 PHP Classes and still updated regularly with more advanced features. It is surely Faster Smarter & Better. You can install scripts in just ONE STEP. Softaculous can install any of its 377 scripts in just one step. Softaculous maintains the Demos of all scripts that it can install. Softaculous maintains Scripts demos so that users can browse through the scripts and then choose the right script for themselves. Please read http://blog.webhostingworld.net/how-to-secure-your-wordpress-site-against-hacker-attacks/ for more details. No programming is needed to set up blog. Just purchase hosting account at WebhostingWorld if you don’t have one yet and a domain , use the one click install for setting up a blog. magnificent publish, very informative. I’m wondering why the other specialists of this sector don’t understand this. Wonderful post! We shall be linking to this particular particularly great post on our website. Keep up the truly amazing writing. and help others as if you helped me.